And yet, that's precisely the purpose of art if we’re to consider Picasso’s quote above. Because art enriches and elevates our lives, why shouldn't our everyday objects serve us beyond simply their utilitarian functions? And when we think of art being infused into our everyday lives, what better place for that to happen than tableware and home decor? That's where Meissen porcelain comes in. Meissen is one of the oldest and most revered companies in the world, producing gorgeous, elegant, and stylish porcelain products for more than 300 years. Widely considered Europe's first commercial porcelain manufacturer, Meissen was founded in 1710 with a ''Proclamation from the Saxon Court Chancellary,'' after King Augustus the Strong, Elector Prince of Saxony and King of Poland, had commissioned Johann Friedrich Böttger, Ehrenfried Walther von Tschirnhaus, and the Freiberg Mining Counsellor Gottfried Pabst von Ohain to develop a methodology for manufacturing porcelain. Prior to this and dating back centuries, porcelain had been imported to Europe from China at an extremely high cost. Today, Meissen relies as much on tradition as it does on modern design, all with a focus on creating works of hand-crafted luxury. That means that, unlike many contemporary tableware manufacturers, who use machines to mold and paint their products, Meissen still produces its products traditionally; every item the company produces is hand-made and hand-painted. This level of expertise requires a minimum of three years of training, followed by decades of learning how to produce the vast selection of products in the Meissen catalogue. And, if an artisan devotes his or her life to learning the Meissen tradition, s/he may even have the opportunity to create a floor-standing vase for the Limited MEISSEN Artworks series, or other piece of limited artwork. 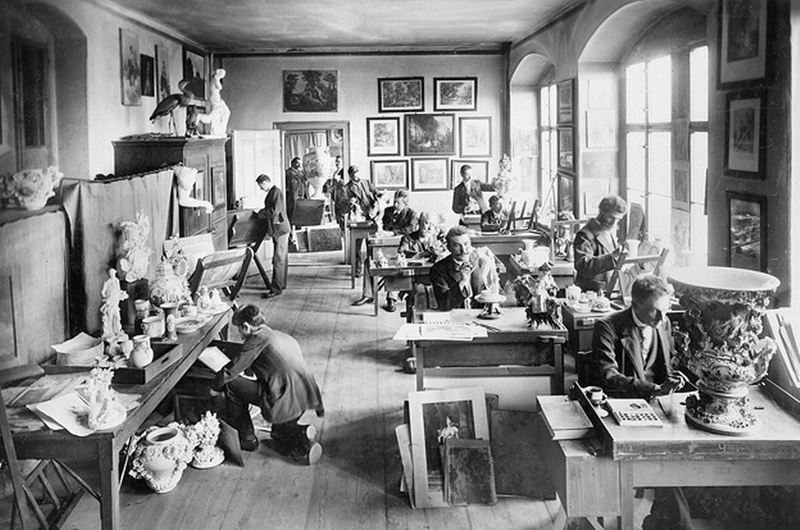 Indeed, a residency at the Meissen factory is one of the most sought-after positions among fine arts ceramicists. Whether you're a collector or a connoisseur of fine art, you can find Meissen tableware in both classic, traditional designs and sleek, modern designs. On the traditional side, collectors have a wide variety of products they may pursue, as one would imagine from a producer with such a long history. These pieces, often parts of a set that have been lost to time, each have a history that’s as unique as their designs. Keep in mind that many of the original pieces were commissioned by King Augustus for himself, his family, and for using as gifts for building diplomatic relationships with other monarchies throughout Europe. From a design standpoint, collectors may choose to focus on finding pieces that resemble a mid-1700s still-life painting or even a landscape. Other pieces focus more on the traditional ''blue onion'' that Meissen made famous, complete with hand-painted images of flowers, birds, and other parts of nature. And yet others imitate traditional Chinese porcelain, which makes sense given the many centuries through which Europe imported it. It is not unusual to find pieces inlaid with gold and other precious materials, which fetch quite impressive prices at auction. For those interested in more contemporary lines, Meissen produces more than seven different collections, utilizing a wide variety of relief shapes and patterns. Many, such as the Noble Blue line, offer a return to the traditional, with styles and markings that recall the brand’s classic designs from its earliest days. Other lines, like the Stripes line, bring a far more contemporary flair both from a design and color standpoint. Then there’s the Swords collection, which offers the best of both worlds with a contemporary design utilizing Meissen’s classic crossed-swords logo. 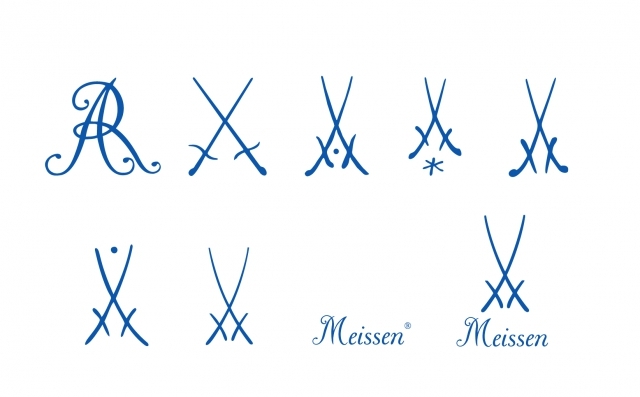 But no matter whether you’re a traditionalist or a ''modernista,'' all Meissen products come with the signature underglaze blue swords. Of course, Meissen has produced other types of art and home decoration—from vases to lamps to figurines—with which we may want to pursue to fill our lives with beauty. Certainly, this is a category worth exploring, both for their aesthetic and historical qualities. But perhaps no other category of art is so accessible, so cherished, and even so practical in many ways, as tableware. 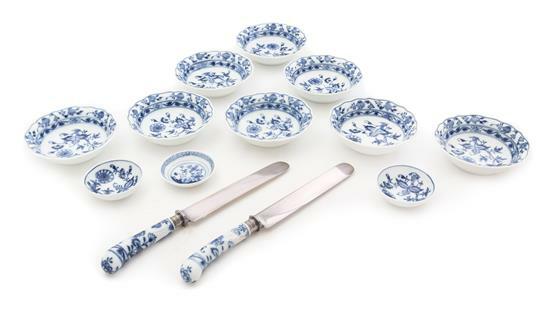 Search Meissen on Barnebys here.